Hi all, I’ve been working on the maps. Google maps is allowing me to import more data so I can now upload all the maps from volumes One and Two on a single map. I’m sorry I don’t yet know how to post a live map. 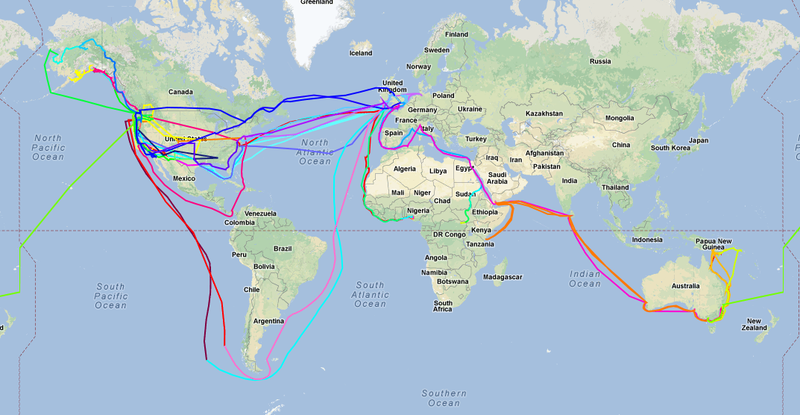 I’ll work on the color coding so it is easier to see his sequence of travel. Here is the link to the map if you want to see a larger version and do some navigating. 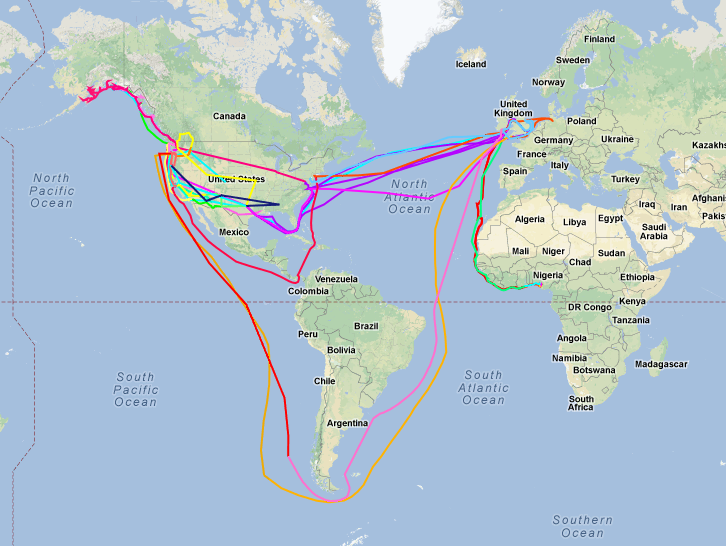 If you’ve been following the narrative, it might be easier to see his travels separated by volumes. Volume 1 looks vertical, showing multiple trips across the Atlantic, his two trips around Cape Horn, the two surveying trips into Alaska, once across Panama, and ends after the logging in Nigeria. Here’s the link. Volume 2 feels much more horizontal as Hayes makes those long fruitless trips across the Indian Ocean, the rowboat adventure on the Yukon, his first circumnavigation of the globe, and the ill-fated trip into the Heart of Africa Mission At Niangara Congo. Here’s the link. I’m working on Volume 3. I’ll post a portion of it before long.